Elle hasn't connected with their friends on Goodreads, yet. Elle Maren is the pen name of a lifelong North Carolina resident, who credits the late author Tim McLaurin, whose impactful creative writing class she took right before graduating from NC State, with helping her lock into her dream to “write what you know” in the form of a novel. Elle enjoys writing about the beauty of her home state, romance and passion as her strong, likeable characters journey to self-discovery through conflict. Apart from writing, Elle loves spending time with her husband, two young children, pets, family and friends. She loves the NC coast, volunteering her time, sailing and getaways to the British Virgin Islands. Elle is thrilled to release her debut novel The Harbour and see her longtime dream come true! To ask Elle Maren questions, please sign up. 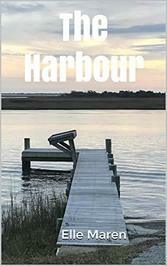 Many thanks to Chick Lit Central for featuring The Harbour on their Bookshelf.